Zambia National Student’s Union president Misheck Kakonde says the Union will sue government and appeal to parliament for intervention over the scrapping of meal allowance by the minister of higher education, Prof. Nkndu Luo. Speaking when he phoned to Hot FM during the breakfast show this morning, Kakonde said withdrawal of meal allowances was illegal as it came into being through an Act of parliament. “How can she scrap off meal allowances and say students should fend for themselves? Some of these students are orphans and have nobody to pay for their meal allowances. How can the minister be so insensitive? This has come as a shock because we were assured that this would not come forth,” he lamented. He said what the minister was applying was a ‘divide and rule’ method, as senior students were not affected so that they do not revolt. 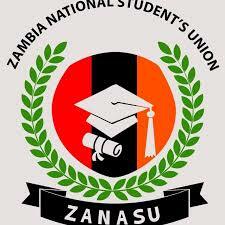 Government yesterday banned meal allowances for all 2019 first year students at the University of Zambia and Copperbelt Universities stating that it would instead only give them loans that will be paid directly to their institutions for accommodation and meals. Minister of Higher Education Nkandu Luo told a media briefing in Lusaka yesterday that the Loans and Scholarships board had instead increased financial support to students at all public universities countrywide.